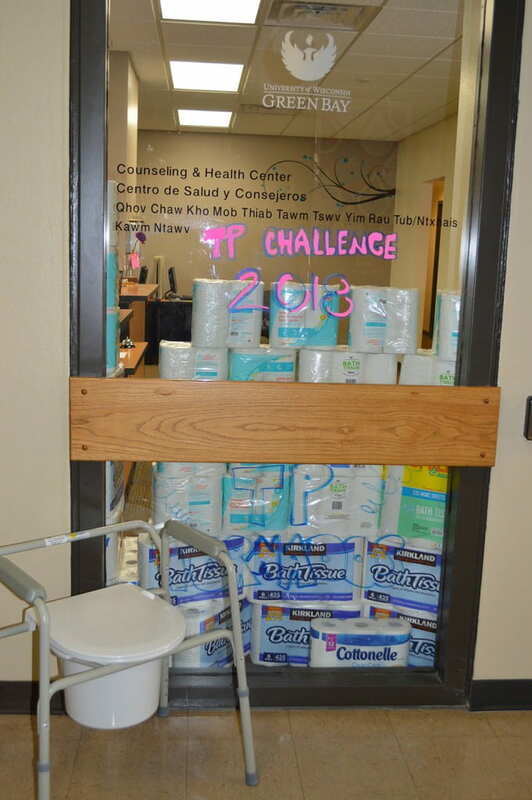 The 2018 Great Toilet Paper Challenge at UW-Green Bay ended with a small office of two — Disability Services — making big contributions and wiping out the competition. In early January, the Student Affairs and Campus Climate and Enrollment Services divisions met to better acquaint employees from both divisions and update all on what is new in each department. 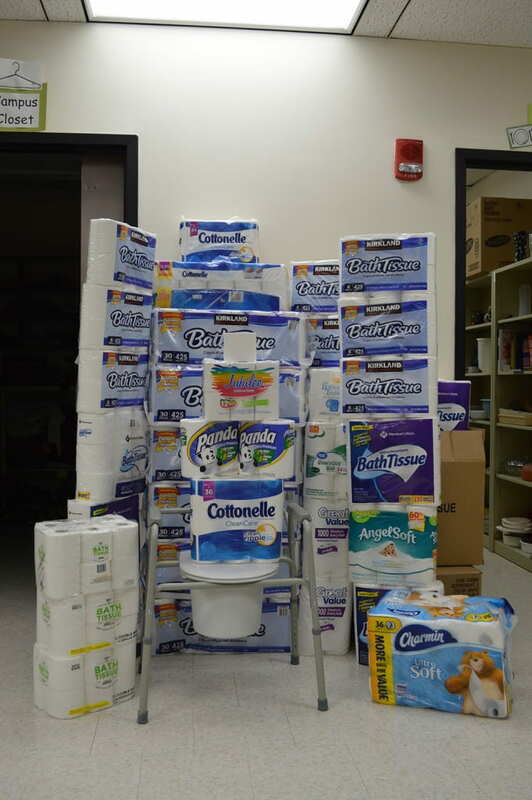 As part of those updates, Stacie Christian reported the Campus Cupboard was most in need of toilet paper. Thus began The Great 2018 TP Challenge. 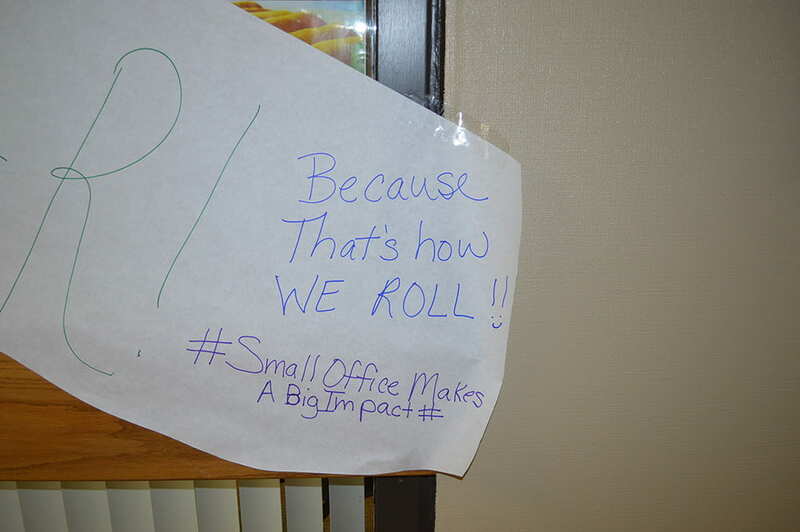 The teams (Admissions, Financial Aid/Bursar, Registrar/GBOSS, Disability Services, Counseling and Health, and Academic Advising/Career Services) rose to the challenge and spent two weeks bringing in donations and taunting the competition. The motivation — serving UW-Green Bay students. The prize — a King Cake on Mardi Gras, recognition in the Log. 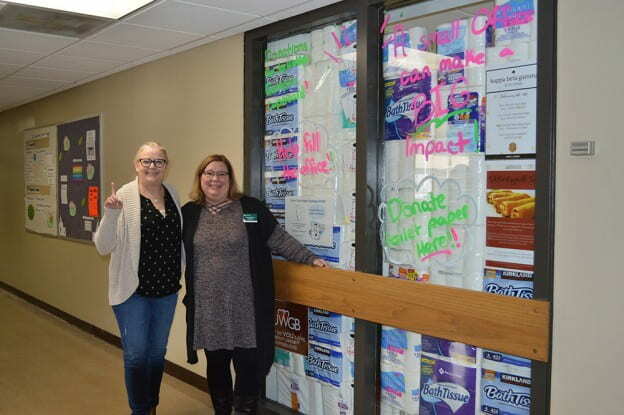 A total of 1,486 rolls of toilet paper were collected for the Campus Cupboard, which is always in need of personal health items like toothpaste, shampoo, deodorant and soap. Please consider a “fun” drive of your own to help out students in need.